Students in diocesan schools are learning important lessons in cyber safety and cyber ethics as part of the technology curriculum. a text. It’s second nature for these “digital natives” who were raised with computers in their homes and classrooms and cell phones and iPads at their fingertips. 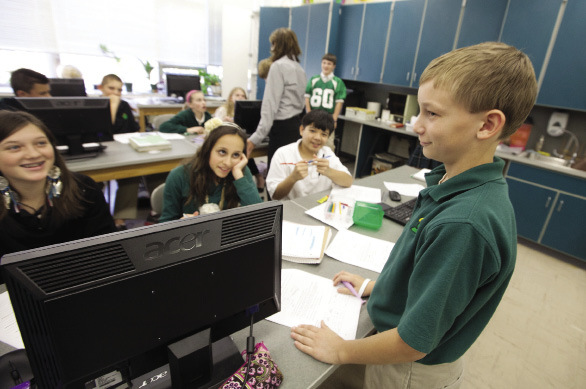 Clearly, there are widespread educational advantages to technology that schools throughout the Syracuse Diocese are incorporating into daily use, yet the cyber world also brings with it a new set of responsibilities and the need to prevent unethical or illegal activity and exploitation. for Technology Education (ISTE): promoting and modelling digital citizenship and responsibility, and is part of a larger goal to create a standardized technology curriculum throughout all diocesan schools for the 2012-2013 school year. Individual lesson plans are based on information from Common Sense Media (www.commonsense.org), a national nonprofit that provides tools to help parents and educators “thrive in the world of media and technology.” Students learn quickly that a “digital footprint” can never truly be deleted and that the apparent anonymity of the internet does not mean they are invisible to others. They’re learning to create foolproof passwords and to avoid cyber bullying and identity theft, as well as practical lessons that touch on copyright infringement and the responsible use of email and other online communication. While teachers are providing these lessons to the students, Lisi acknowledges that parents are a key part of the process, as well. To that end, many schools are holding parent internet and technology events. As e-books, iPads and iPods become teaching tools and students depend on computer and cell phones for basic communication with parents and friends, it is clear that technology in the classroom is here to stay and evolving rapidly. 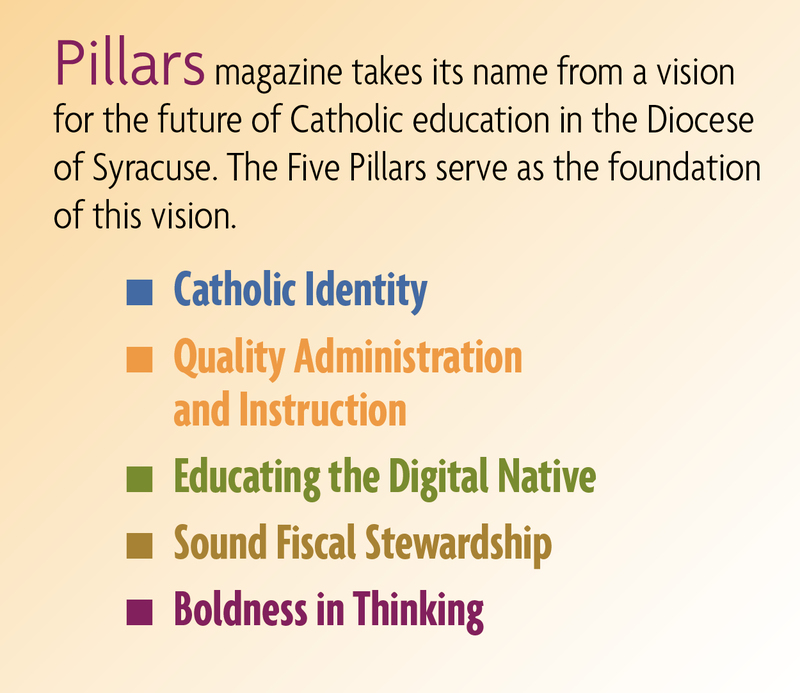 So, too, will the lessons that go with it, as teachers, administrators, parents and students in the Diocese of Syracuse work together to challenge digital natives in the classroom and further Catholic identity through this newly-established curriculum.